In a unique communications partnership, the Institute of the Motor Industry (IMI) and ITN Productions have launched a news and current affairs-style programme. Presented by national newsreader Natasha Kaplinsky, ‘Vision for the Future’ looks at the innovations that are pushing the British motor industry forward and brings to life why the British motor industry remains a global leader. The programme looks at the challenges and revolutions within the industry and explores the changing way people are buying cars, the professionalism within the sector and the implications of Brexit. 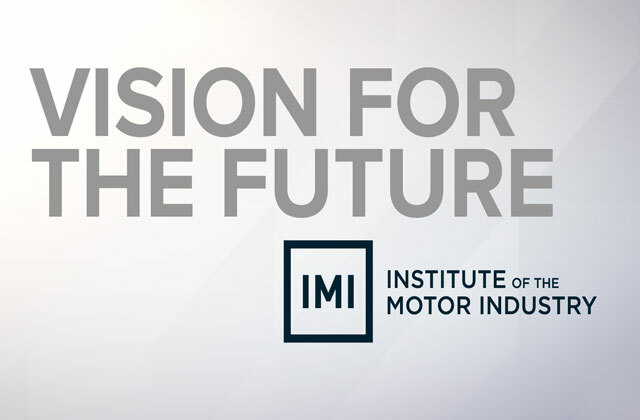 'Vision for the Future' premiered on 8th March at an exclusive launch event that took place before the IMI Annual Dinner at the Intercontinental London, Park Lane. The programme features key interviews from in and around the motoring sector and news-style reports, along with sponsored editorial profiles of some of the leading organisations working within the industry. The programme also features an interview with Rt Hon John Hayes MP, Minister of State at the Department for Transport, who talks about his support for the Apprenticeship Levy and why it is so vital for the motor industry to reform the training programmes. Hayes also talks about how the development of new vehicle technology is providing the sector with some exciting career opportunities, and the importance of training technicians who work with this new equipment. Twelve sponsored stories from leading and innovating contributors to the industry are included in the programme including Arnold Clark, Barclays, BG Products, Car Care Plan, Dekra, IAM RoadSmart, Jewelultra, Marketing Delivery, Progress Recruitment, SalesMaster, Scania and Skillnet. "All of us know that the automotive industry is a dynamic, compelling and exciting place to be. What we are keen for people to know about is an industry that is on the cutting edge of technology, and makes vast investments in training and developing its people (well over £100m every year). This industry offers a huge array of jobs and career paths, over 150 different roles in a typical retail dealership alone, and this programme demonstrates some of the fantastic work taking place today." "We’re delighted to have partnered with the IMI to explore an industry that is on the cutting edge of technology, and at the forefront of training and developing employees. The dynamism and professionalism we’ve seen in bringing stories from the industry to screen challenge the perception sometimes held of the industry. We hope this can be a tool for the sector to share knowledge and innovative thinking, and bring greater understanding to the automotive industry. "